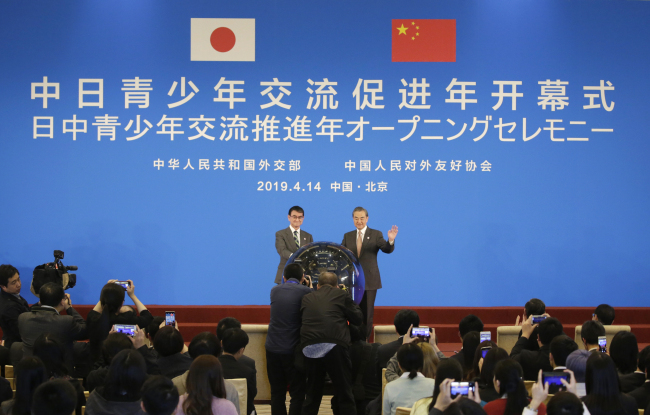 China and Japan have the opportunity to “take charge of the economic field” during a time of worldwide uncertainty, Japan’s foreign minister said Sunday, as trade pressures from the United States have prompted both countries to seek alternative markets. China and the US said a week earlier that they achieved new progress in talks aimed at ending a tariff standoff over Beijing’s industrial and technology policies. A conclusion to the dispute, which has shaken financial markets, remains uncertain. Meanwhile, Japan’s exports have suffered as a result of slowing Chinese growth. China is Japan’s largest trading partner, and Japanese companies -- from carmakers to department stores – play a major role in the Chinese economy.